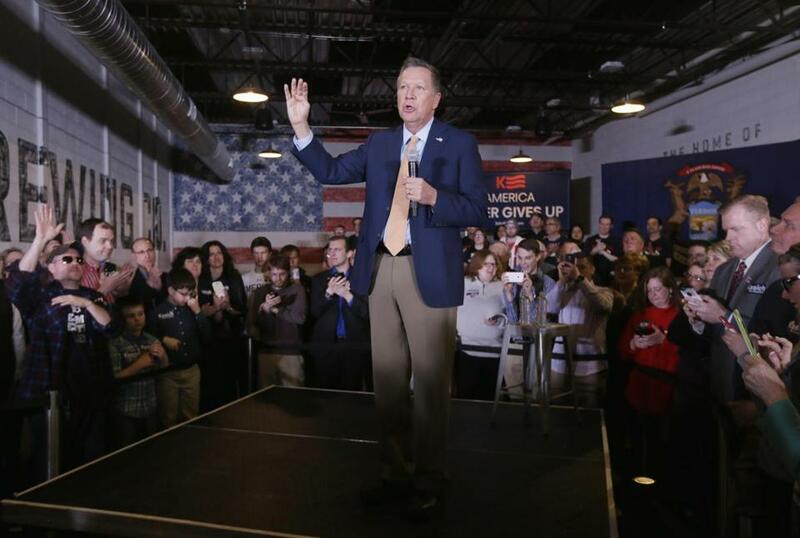 John Kasich spoke at the Lansing Brewing Company in Lansing, Mich., on Tuesday. GROSSE POINTE, Mich. — At a town hall-style meeting here, John Kasich singled out a group of students in the audience and ruminated on the importance of standing up to bullies. Over the next week, the larger purpose of the Ohio governor’s own campaign is shaping up along similar lines: Mainstream Republicans want Kasich to be the person who stands up to the bully in the 2016 primary, Donald Trump. The Ohio governor hasn’t won a single primary contest in 2016, and, before the ballots were counted in Michigan Tuesday, his delegate total was less than 10 percent of Trump’s. His only previous signs of strength have been second-place finishes in New Hampshire, Massachusetts, and Vermont. He is so far behind in the delegate count that he has virtually no chance of claiming the nomination — unless he somehow prevailed at a brokered convention. Despite all that, the Republican establishment sees Kasich as the unlikely linchpin of its strategy to derail Trump. The party was counting on Kasich to use his Michigan performance Tuesday as a springboard to winning his delegate-rich home state of Ohio next week — denying Trump a big boost in delegates. Donald Trump’s easy victories in Hawaii, Mich., and Miss. put him that much closer to the GOP nomination. Trump prevailed in Michigan Tuesday night. Kasich and Senator Ted Cruz were battling for second place, according to early returns. The real test for Kasich comes on March 15. Ohio and Florida are the key prizes among the six contests that day. It will be Kasich’s moment: The brunt of the argument for his candidacy so far is that he can deliver his home state. “Our campaign strategy was built knowing that the nominating calendar is front-loaded to benefit the other candidates in the race, while it shifts more and more toward a Kasich candidacy the deeper we go into it,” wrote chief Kasich strategist John Weaver in a memo over the weekend. Republican Party leaders panicked over a possible Trump nomination are desperately hoping Weaver is right. To stem Trump’s accumulation of delegates and possibly block his path to the nomination, Republicans not only need Kasich to win Ohio, but also for Senator Marco Rubio of Florida to win his home state. If Trump wins both delegate-rich, winner-take-all states, he will be well on his way to accumulating the 1,237 delegates required and will be almost impossible to stop before the GOP convention in Cleveland. 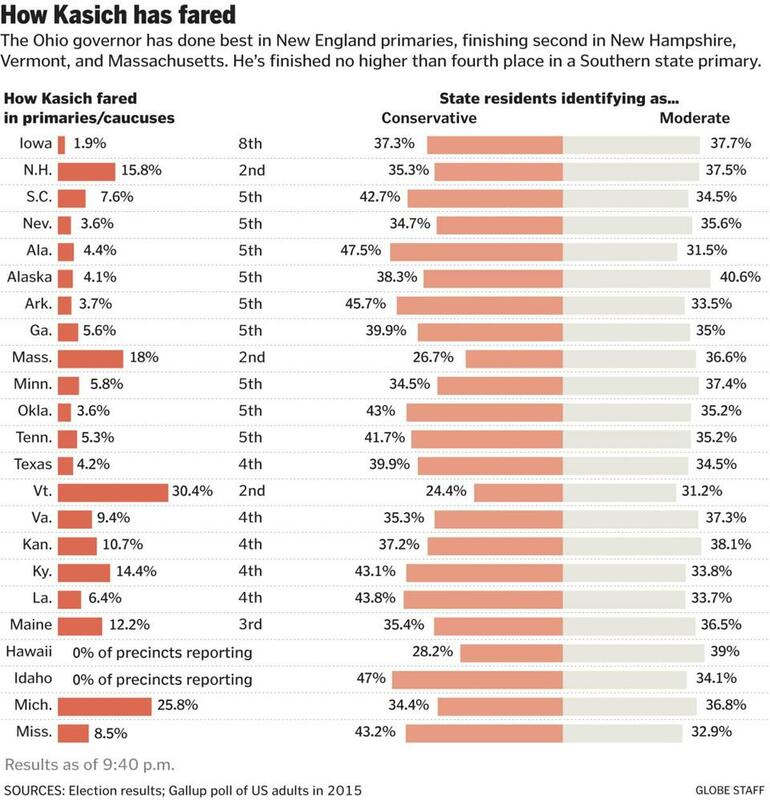 Rubio is so far back in the polls in Florida that Kasich, who is running even with Trump in Ohio, has the better chance of making this novel strategy work. “Kasich has no mathematical chance to get enough delegates to win,” said Scott Jennings, a Republican strategist who ran Mitt Romney’s 2012 operation in Ohio. One of those friends is, oddly, Romney. The two had a tense relationship in 2012. But on Tuesday, Romney unleashed a robocall to Michigan voters, urging them to support Kasich. Another theory about Kasich’s strategy goes like this: If he can’t beat Trump, he could always join him. In a contested convention, it’s possible that Kasich’s delegates — if added to Trump’s — would be enough to push Trump over the top and win the nomination. 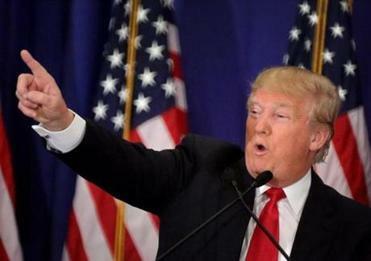 Under that scenario, the country could see him as a vice presidential running mate. Kasich was first elected governor in 2010 and won reelection by a 30-percentage point margin. He’s stayed popular in his home state even as his ambitions broadened, enjoying a 62 percent approval rating as of October. In this campaign, he’s tried to blaze a path as the reasonable adult who doesn’t roll in the mud with the other candidates. He’s the only candidate in the field who hasn’t mounted a sustained campaign of verbal insults against Trump, though his super PAC was among the first to run ads against him in Ohio and New Hampshire last year. Trump has offered some kind words to Kasich — and tangled with him late last year only after reports that Kasich’s super PAC was preparing a larger onslaught of ads. The news stories prompted a tweet storm from Trump in which the GOP front-runner derided Kasich as a “dud” who wasn’t getting traction. So while Trump has grabbed attention with proposals to wall off Mexico and ban Muslims, Kasich’s biggest moment sprang from his capacity for empathy. Last month at an event at Clemson University in South Carolina, a young man stood up and said his life has been difficult: An adult close to him — a “second father” — had committed suicide. His parents had recently divorced, and his father had lost his job. As the man spoke, Kasich stepped down off the stage and embraced him for a full 17 seconds, patting him on the back as the audience applauded. In Michigan this week, Kasich was just as free with the hugs, reaching over a barrier to wrap his arms around a young woman who stood up to tell him she’d had a rough year. A pivotal part of Kasich’s gubernatorial record is his decision to expand Medicaid under the Affordable Care Act, accepting millions in federal funds that many conservative governors turned down as a way of protesting President Obama’s health care plan. He’s defended his decision in religious terms. “When I get to the pearly gates, I’m going to have an answer for what I’ve done for the poor,” he said, according to local news reports. Kasich championed a law to restrict collective bargaining among public service unions early in his tenure. The measure went to Ohio voters on a ballot, and they slapped it down. He added: “I am not an order-taker for the establishment.” But, next week, if Kasich wins Ohio and Rubio loses Florida, the Ohio governor would be the last place the Republican establishment could turn.